Shannon and her family adopted Copper in September 2011 when he was just a year old. He quickly became part of the family. Recently, Shannon noticed that Copper started making a strange noise when he went to go eat. He backed away from the food dish making choking sounds. Shannon took a video and showed her veterinarian, who diagnosed Copper with dental disease. He would need surgery to have his teeth cleaned and some extractions, and it was going to cost $650-$750. Shannon panicked. Relying on Social Security with two kids, this wasn’t a doable cost. Copper is a huge part of her family’s life, so Shannon began looking into options to help finance the surgery, and was pointed towards Rochester Hope for Pets. Rochester Hope for Pets was able to cover some of the surgery, making it more affordable. Copper had his teeth all cleaned and the bad teeth extracted. Now, Copper is doing much better. He is back to snuggling and eating just like usual! 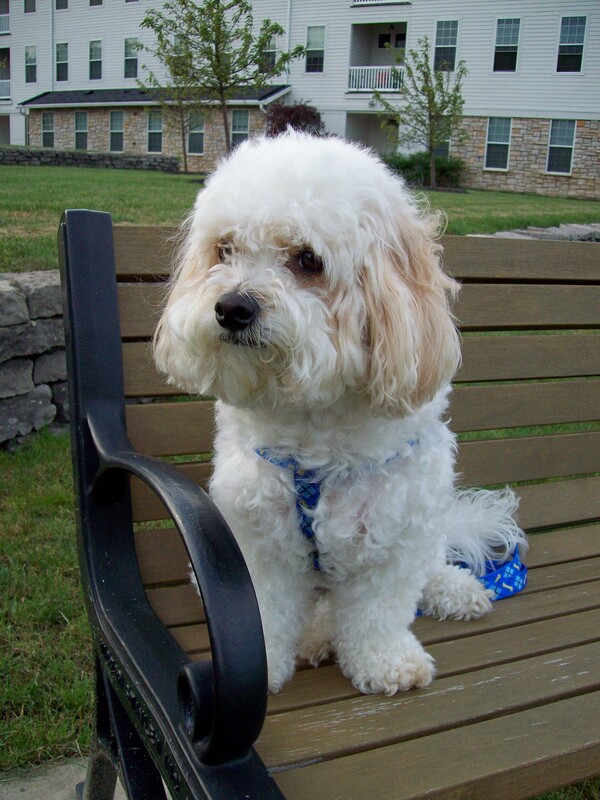 Without Rochester Hope for Pets, Shannon’s family would have had to give him away to another family that was able to pay for his treatment, or potentially put him down. Copper is an anchor for Shannon and her family. He guides them through their hardest moments, and reminds them how loved they are. Shannon feels that the dental surgery enabled by Rochester Hope for Pets truly saved her family. This Tail of Hope is brought to you by our friends at Javen Construction – thank you Javen! 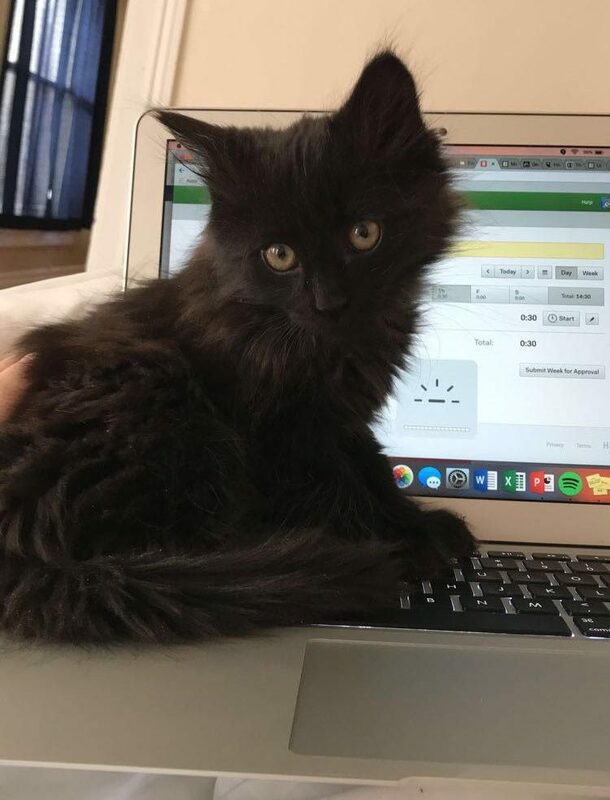 When he was eight weeks old, Atlas was adopted from a local shelter by Erica. He was missing one leg due to birthing complications, but that only made Erica love him more. She modified her apartment so it was easier for him to get around – steps where he couldn’t jump high enough, and rugs on the floor so he didn’t slip. Atlas fit right into his new life. Thanks to Davidson Fink, Attorneys at Law for making this Tail of Hope possible! Hudson was born in 2006 in Corsicana, Texas and came to his loving owner, Jean, at 8 weeks old. Together Jean and Hudson lived in Texas, Maine, and then finally returned to Jean’s hometown of Rochester. In early February 2018, Hudson slipped on some ice and partially tore a ligament in his knee. During a follow-up visit for his leg, the Veterinarian noticed that his lymph nodes were enlarged. Biopsies were taken, and on March 9 Hudson was diagnosed with stage 3 Lymphoma. Hudson immediately began receiving treatments at VSES. From March 13 to August 21 Hudson underwent 16 chemo visits. Due to the financial implications of such a disease, Jean’s cousin suggested she reach out to HOPE. The partial grant Hudson received went directly into his chemo treatments. Now 12 years old, Hudson is in remission thanks to his “I can do this” attitude, exceptional care from VSES, and support from so many of his friends and family. It can be difficult for pet owners to carry the emotional and financial weight of these intense medical conditions on their own. 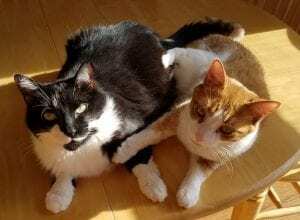 Jean was very grateful to have some of both burdens lifted of her shoulders by Rochester Hope for Pets, for the emotional support of friends and the exceptional care Hudson received at Veterinary Services Emergency Services. Tina was adopted when she was three years old by her loving mother, Sandra Leveson. She came from a local rescue for cats, and seemed healthy and happy upon adoption. A short while after adopting Tina, Sandra noticed that she was acting funny. Sandra brought her to the vet, only to find out that Tina needed to have all of her teeth pulled. Sandra had to choose between paying for the surgery or having her humanely euthanized. Despite needing dental work of her own, Sandra made it clear that “the cat comes first.” Dr. Wihlen at Animal Hospital of Pittsford told Sandra he would do whatever he could to help with the expensive surgery, and was able to connect her with a $400 award from Rochester Hope for Pets – a huge relief for Sandra. This wasn’t the only time Tina and Sandra would receive help from RHFP though. Recently Tina began developing strange masses around her eyes. It was found that she had multiple growths that needed to be removed. 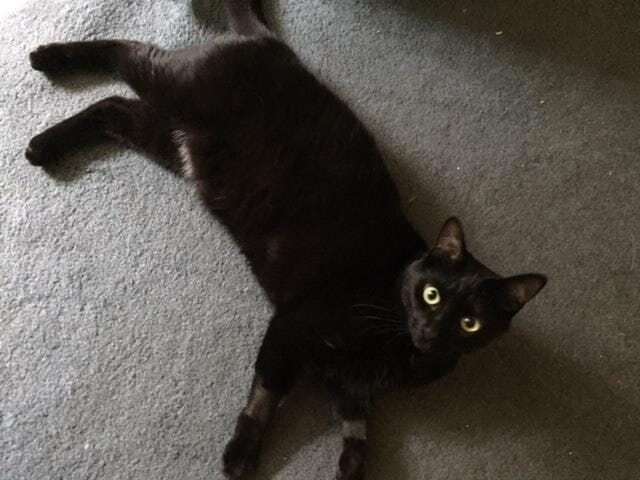 Again, Rochester Hope for Pets was able to cover part of the surgery, and was able to take some of the financial burden off of Sandra’s family. Shadow came to his loving owner, Sharon, at just six weeks old. 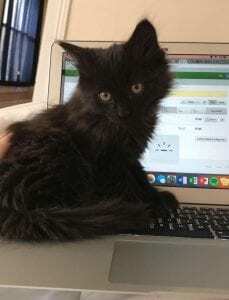 He was one of six kittens born to a feral cat who had abandoned them. When he was four, Sharon noticed that Shadow was doing something strange. He was trying to urinate all over the house – when he tried to go though, nothing would happen. Sharon knew something was wrong and brought Shadow to the veterinarian. The vet diagnosed Shadow with a urinary tract infection and sent him home with medication and instructions to collect a urine sample. Once home, Shadow tried and tried to relieve himself, but it just wasn’t happening. Sharon rushed him to Veterinary Specialists and Emergency Services to find out that he had a complete urinary blockage, which is fatal if left untreated. Shadow stayed overnight with IV fluids and a urinary catheter; the next day Sharon took him to her regular vet for a follow-up. Retired and on a fixed income, Sharon was worried about the cost of all of these procedures and office visits. Shadow is a part of her family, and she’s deeply committed to his health. Luckily, she received an award from Rochester Hope for Pets that covered a portion of the total cost. Tiger was adopted by his loving family right at the beginning of his life. He had been born with a deformity to his left paw that required the leg to be amputated, but he thrived as a three-legged cat. His family included humans, dogs, and cats, and he lived a happy cat life for many years. Sadly, in the winter of 2017, his dog sister, Lola, passed away. A few months later, the family decided to welcome a new pup into their lives, and rescued a four year-old dog from a local animal shelter. Despite careful introductions, the new dog attacked Tiger soon after arriving. 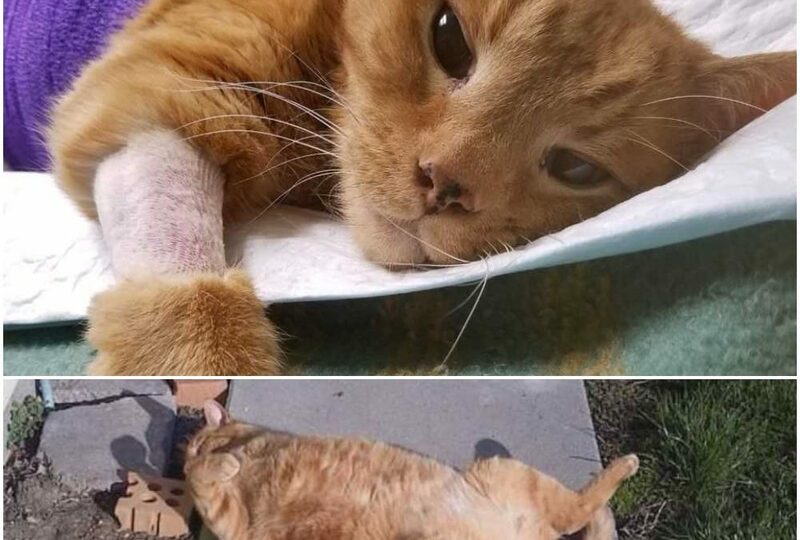 His family rushed Tiger to Penfield Veterinary Hospital, where the veterinarian told them Tiger had five broken ribs and many puncture wounds. Afraid and unsure of how they would cover the cost of hospitalization, the family turned to Rochester Hope for Pets. Tiger would end up spending ten days in the hospital, receiving multiple treatments that saved his life. The financial award from Rochester Hope for Pets helped to cover a portion of the total cost, alleviating a lot of the family’s financial stress. 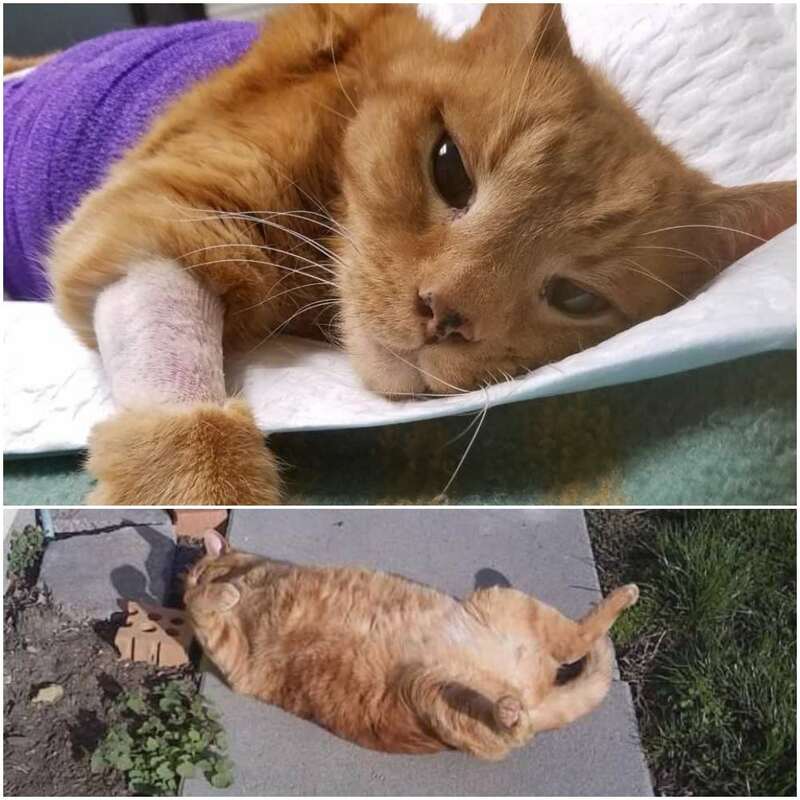 They were able to focus on helping Tiger recover, and soon he was on his way back to his happy, healthy self!